I’ll be the first to admit that of the 19,000-plus sunrises in my lifetime, I’ve witnessed a relatively small number. You see, even though sunrise is a magical event, it comes at a rather inconvenient time of day. Back in my 9 to 5 career days, I was likely driving to work, at the gym, or already in the office at sunrise. In summer, when the sun comes up hyper-early in Canada, I’m probably still sleeping when the sun makes its appearance. I love a sunrise, but I’m not a true sunrise junkie. 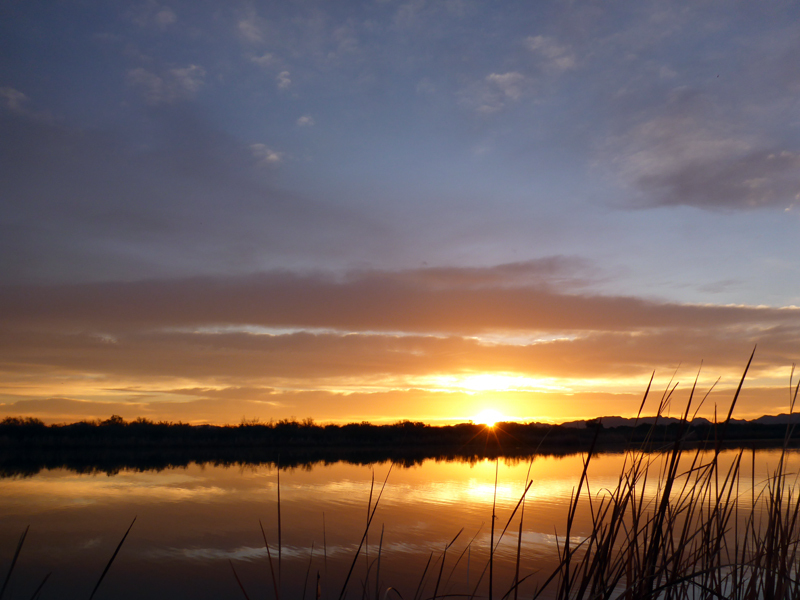 Cibola Wildlife Refuge — I made a point to exit the RV early for this one.